Please note, this apartment is band new which is why it has not acquired many reviews yet. However, please view our full portfolio of ten apartments which have acquired approx. 600 reviews on HA and over 1000 across two other channels with an average of 5/5 rating, as an example of the quality we offer. 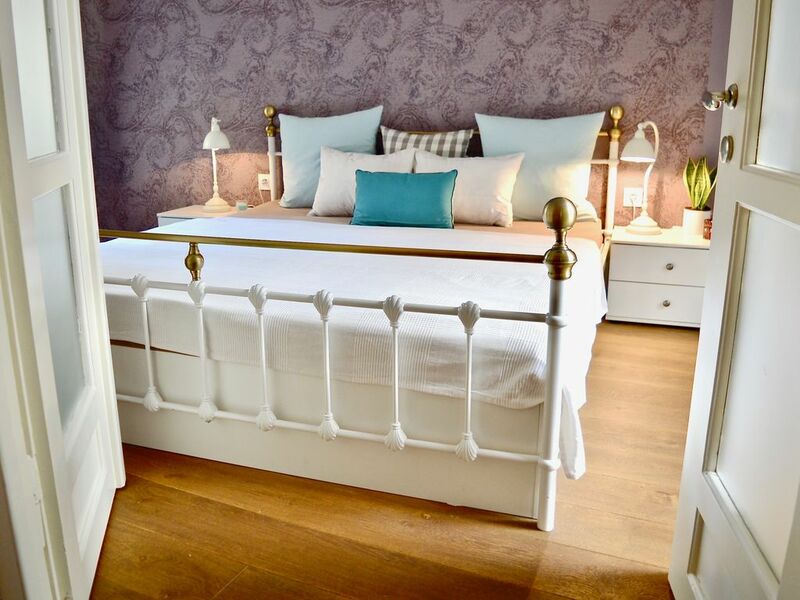 With every new apartment we gain a deeper understanding of our guests needs and with this Old Town hideaway we believe we have the perfect apartment for guests wishing for a peaceful haven to return to after a busy day’s sightseeing. With absolutely no street noise you are also guaranteed an excellent night’s sleep. With ten years’ experience building a successful portfolio of Prague holiday lets we know how important this for the perfect guest experience. We are proud to add this beautiful one-bedroom in the heart of Old Town to our growing portfolio of ten Prague apartments which include properties 88378 (first and second floor) 97558, 93243, 811627, 8460118, 1980948, 8843932, 8933646 and more to come. Located on Havelska street, which has the only preserved market place in Old town dating back to 1232 selling a variety of fresh vegetables, this Old Town one-bedroom could not be more central. While Old Town is one of the most sought after locations for a short visit to the ‘golden city’ it can on occasion be noisy – especially at night. When we purchase or lease Old Town real estate we are therefore careful to seek out quiet locations. This apartment cannot be beaten if you are looking for a quiet but central Old Town location. As you enter this romantic hideaway you will quickly forget you are in the heart of Old Town, just short two minute walk to Old Town square. The comfortable furnishings are enhanced by a mix of Old and new design which elevates the charm and character of this unique one-bedroom. The exposed brick blends with a modern bathroom, kitchen and separate toilet. The added bonus of a small patio with outside seating is perfect for alfresco dining or to enjoy morning coffee. My wife and I bought our first Prague property in 2004 and have since built up a portfolio of eight holiday apartments with a value of approx 137m CZK/6,5 m USD, of which approx 1,7 m USD is owned and the rest leased. We specialize in short-term rentals which we manage together with a small team through our sro MJMorris Apartments and Developments. We develop properties from complete renovation and/or refurbishment into successful holiday lets and acquire apartments through lease or purchase in the most prime locations the city has to offer. We still consider ourselves a ‘boutique’ business with a philosophy of quality over quantity with the number apartments we take on. We take great care in both design and presentation of our rentals, as well as the services we offer. We have a small and dedicated team who all have approx 10 years experience in hospitality and we only take on renovations projects which capture the spirit and history of Prague while maintaining all the comforts of modern living. We also provide consultation in all aspects of Prague real estate investment but specialize in the holiday rental sector. We are especially excited about merging property development with tourism. We are passionate about what we do and with approx 700 five star review of our eight Prague properties (8339514, 8460118, 88378 first and second floor, 97558, 1980948, 811267 ,93243 and 8843932) advertised on three platforms, feel we are on our way to achieving our goal of providing the best Prague holiday apartments and services on the market. We look forward to accommodating you and/or sharing our invaluable experience in what is an fast-moving and dynamic growth industry. Uniquely quiet, spacious and quiet. There is separate bathroom with bath and shower, sink, toilette and separate toilette with sink. Apartment is located in heart of old town - just right on fruit market. Apartment was exactly as illustrated. Everything up to date and clean. Center of everything, we walked everywhere. Ilan and Veronika probably the most communicative of any VRBO or Homeaway owners we have dealt with. Would definitely rent from them again. We are a mature couple who have visited Prague on a number of occasions ,having stayed in hotels and apartments in different parts of the city,we found this apartment to be ideally situated. We were a little worried , because it was so central ,that the noise of the city would bother us ,however in spite of the location the apartment was quiet ,and coming from Windsor UK where we suffer from extreme aircraft noise,this was a relief!! The kitchen was very well equipped ,we had breakfast every morning in the apartment ,the bed was very comfortable ,and the decor tasteful . Leaving the apartment one is immediately out into the bustle of one of the oldest markets in Prague ,and from there the old town square is literally around the corner ,so it really couldn't be better situated . We were lucky with the weather so our stay was wonderful and Ilan and Veronika were great hosts giving us details of new restaurants that were worth eating in and tips for saving money on transport etc. He arranged our taxi to and from the airport and the driver was pleasant and and the fare good value . Die Wohnung liegt direkt am Havelska Markt und somit ist die Lage super zum Sightseeing geeignet. Zudem war die Wohnung in einem sehr gutem Zustand und ordentlich. Wir können die Wohnung auf jeden Fall weiter empfehlen.